Over the years I’ve seen a lot of fireworks shows and parades. Some have been fairly entertaining, others really disappointing, but one has stuck with me for years. Out in Disneyland years ago I was about to leave the park early but was convinced by a friend to stick around for the parade. Wow and I ever glad I decided to stay, as I witnessed a really amazing show. 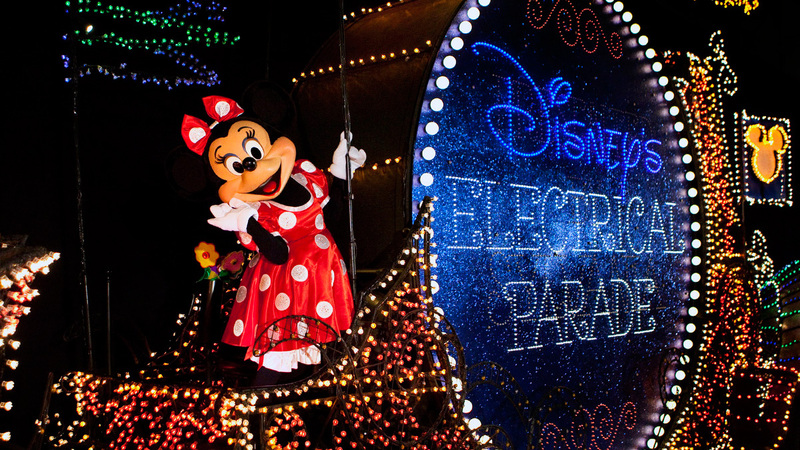 Disney’s Main Street Electrical Parade is an experience you shouldn’t miss. With the lights in the park turned off and the floats coming down the street lit up like your crazy neighbor’s house for Christmas mixed with a fantastic Disney soundtrack just blew me away. There are of course your standard Disney characters, and iconic images from your favorite movies. It even includes one of my childhood favorites, Elliott from Pete’s Dragon. 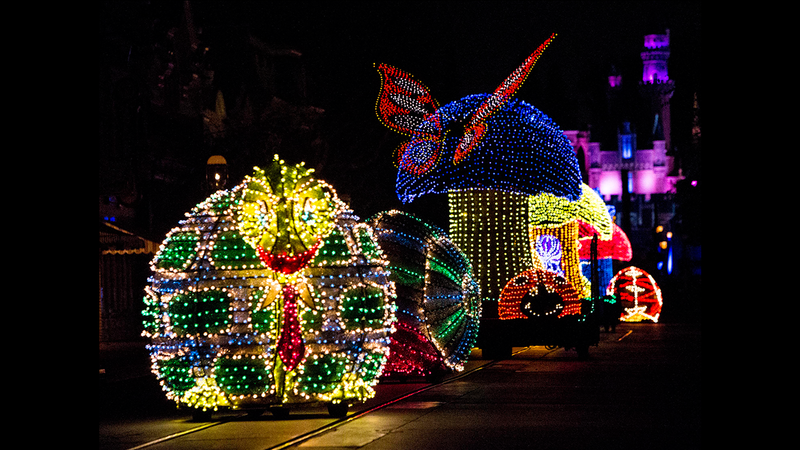 The unique look to these floats with all the individual bulbs just makes them familiar but different at the same time. 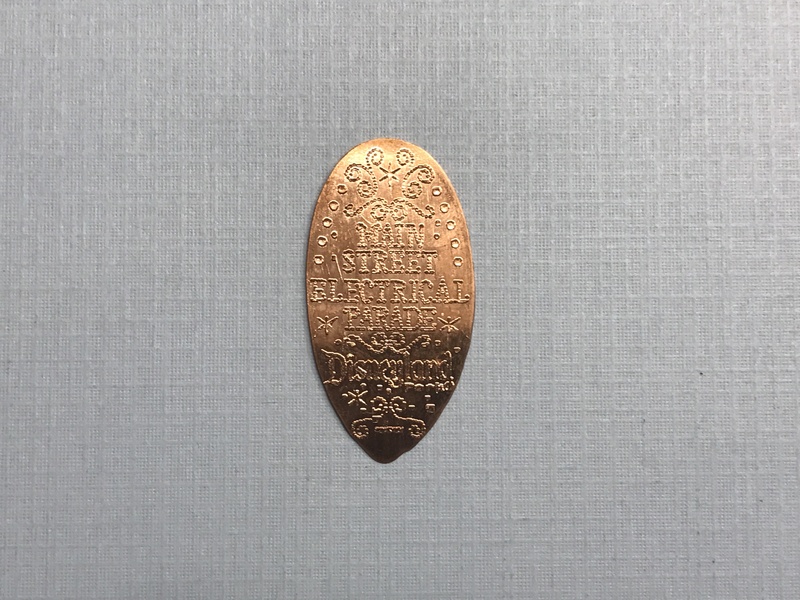 Now what does this have to do with pressed coins? Well just recently a new pressed penny machine was located in the Main Street Penny Arcade celebrating this parade. When I saw a photo of these coins I just had to have them. The detail of each design if really amazing and the use of the individual dots recreates that unique bulb look of the floats. 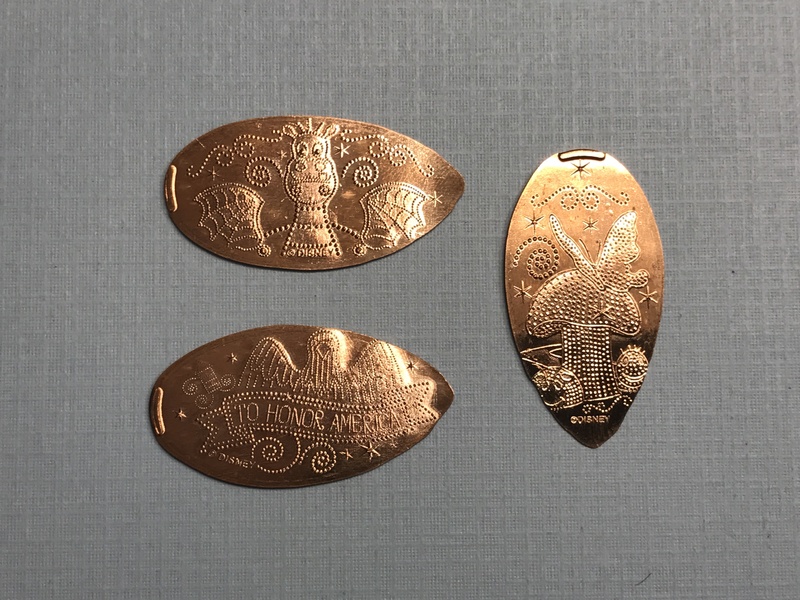 The designs include the iconic Mushroom with Butterfly, Elliott from Pete’s Dragon, and To Honor America. How could I not include a picture of the backstamp which are becoming a Disneyland standard. The designs include the Main Street Electrical Parade font, with some nice surrounding trim. 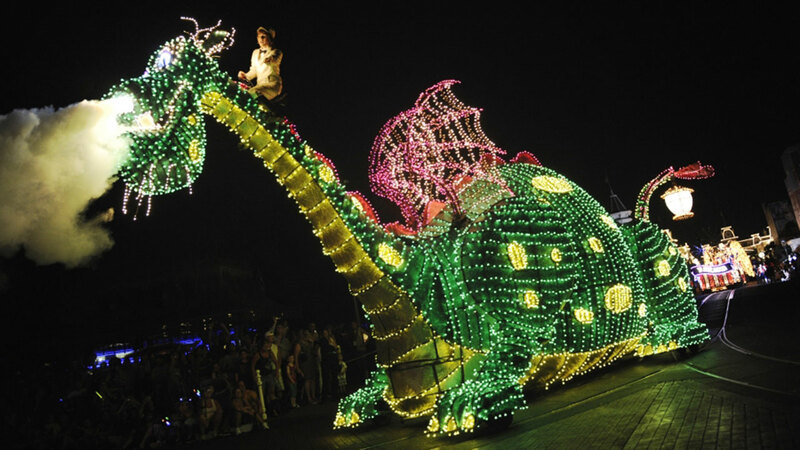 I know all the Disneyland enthusiasts will hunt me down for this, but I hope that some day the Electrical Parade gets packed up and transported over to Florida so I can see it in the Magic Kingdom. Sorry I’m selfish and really want to see this parade again as it’s just that great, and unfortunately I don’t know when my next trip to California will take place. For now I’ll have to settle for these new pennies, which as you can see from the pictures isn’t a bad trade-off.